epicure: n, a person who cultivates a refined taste, especially in food and wine tea; connoisseur. Tea Epicure is a producer-focused tea assessment platform that introduces the world’s most exciting teas to the world’s most passionate consumers and tea buyers by assigning each tea a rating from 50-100 based on objective quality markers and a sensory evaluation. For the past 200 years, major entities in the tea industry have been in a veritable race to the bottom– with the advent of the tea bag, flavored teas where the flavor of tea is all but lost and bottled teas where the tea itself is an afterthought. Most tea companies rely on mystique to market their products. There is however, a growing contingency of tea companies that focuses on true transparency—resulting in tea producers receiving the accolades they deserve, and the growth of a vibrant connoisseur culture. Tea Epicure works with tea producers and tea sellers to fuel the movement towards true transparency with a shared goal of a connoisseur culture that flourishes and sustained growth of the specialty tea industry. I first experienced tea as a young teenager, and like so many others in America, tea was prescribed to me by my mother when I was sick almost as a sort of panacea. Sore throat, common cold, flu, all were remedied with a cup of black tea from a tea bag. The perfect companion to a hot summer day was a cold glass of iced tea, also made from black tea bags and with copious amounts of added sugar. Throughout university, I worked at a cafe as a barista and became more interested in the tea that was sold than coffee. In 2005, I joined a month-long university trip to China to study the geology of Southern China. It was during this trip that my love for tea blossomed, and I realized that there was a world of knowledge about this drink that hadn’t yet reached our shores in the West. I read every book on tea I could get my hands on; classics such as All About Tea by William H. Ukers and Tea Lover’s Treasury by James Norwood Pratt. Later, in 2008, I ventured back East on a 6-month backpacking expedition throughout Southeast Asia. In 2009, I started my own tea importing company, in 2011 I met my wife (who was also studying tea), and in 2016, I published my first book on tea, Tea: A User’s Guide. Through these experiences, I went from being a tea drinker to becoming a tea taster. Tea became more than a simple beverage for me, I yearned to taste all of the teas that I could get my hands on—training my palate as I tried more and more styles of tea. Tea became exciting! This type of story is what we in the industry call a “tea journey.” Once tea becomes more than a beverage for you, once it grips you, it takes you on a journey. You cannot stop it, and its captivation grows as you realize that the more you learn about tea, the less you truly know about it. 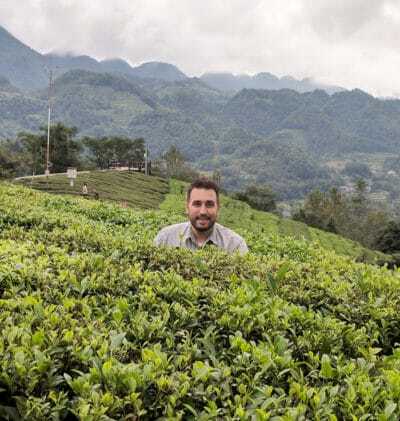 Throughout my tea journey, I have spent months chasing the tea harvest across Asia and have met countless others doing the same, many of whom have become great friends of mine. The simple act of sharing tea with someone bridges cultures—transcending any differences, requires no common spoken language, and fosters friendship.  I launched Tea Epicure in 2019 with a charge and a promise to the tea industry. The charge?—For our industry to embrace true transparency. The promise?—That embracing true transparency will allow for the growth of connoisseurship surrounding tea and tea preparation and ultimately lead to growth in the tea industry as a whole. There is a community of tea epicures around the world frustrated by lack of transparency and unaffected by mystique marketing. The industry must embrace this community—as connoisseurs in any industry drive innovation and growth. This is especially true in the world of tea. Simply by their discerning taste, connoisseurs play an important role in the marketing ground game–educating others, sharing their favorite teas with friends, and acting as influencers in real life and on social media.